At Southeast Tree Care, our team has many years of experience in the oilfield and industrial industries. We work closely with oil, gas, utility, and industrial companies in Estevan and the rest of Southeast Saskatchewan and Western Manitoba. We provide mechanical, chemical, and organic vegetation management to any size site. Our team of fully trained applicators have the knowledge and expertise required to work in and provide services to a variety of different settings. We will manage your property with the tools and equipment needed to ensure safety, productivity, and efficiency within your regular operations. Year after year, we strive to maintain an exceptional relationship with our new and loyal customers. 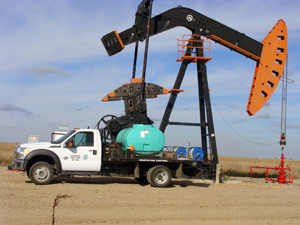 We are dedicated to providing the best experience possible for you and your oilfield or industrial environment. Contact Southeast Tree Care to learn more about our oilfield and industrial services, or to schedule an appointment for your property today!